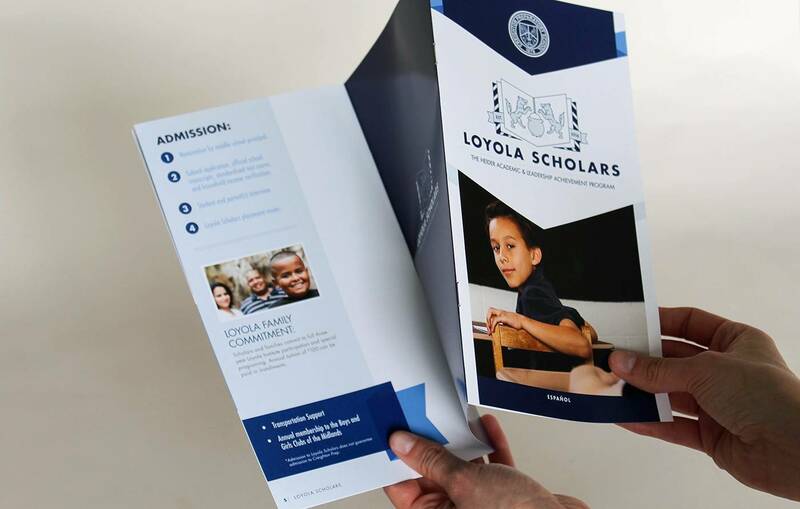 Creighton Prep approached Iridian to create a unique identity and collateral for their new Loyola Scholars Heider Academic & Leadership Achievement Program. The program is targeted towards young male students in the Omaha metro area who are academically talented, have leadership potential, and whose households have significant financial need. The program prepares students to be accepted and compete for scholarships at Creighton Prep. 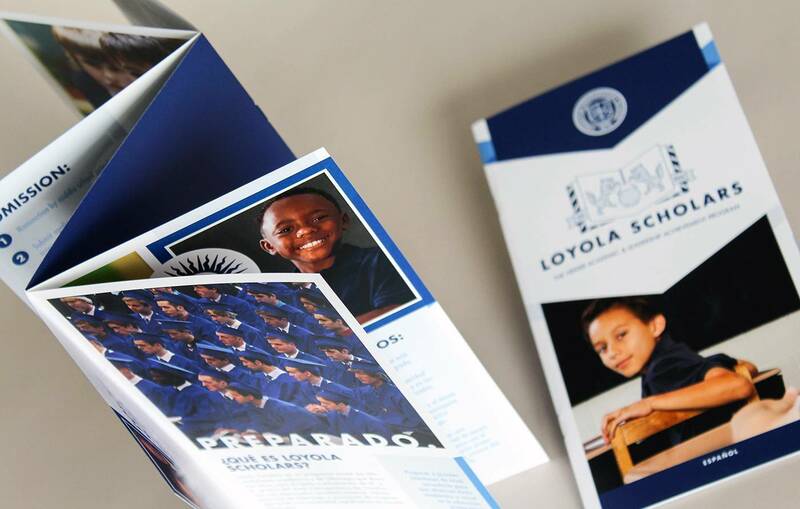 The brochure presented a unique challenge in that it needed to present a large amount of information to both English and Spanish readers. We did not want to interrupt the readers experience with a translation below each paragraph or section, nor did we want to create two separate brochures. 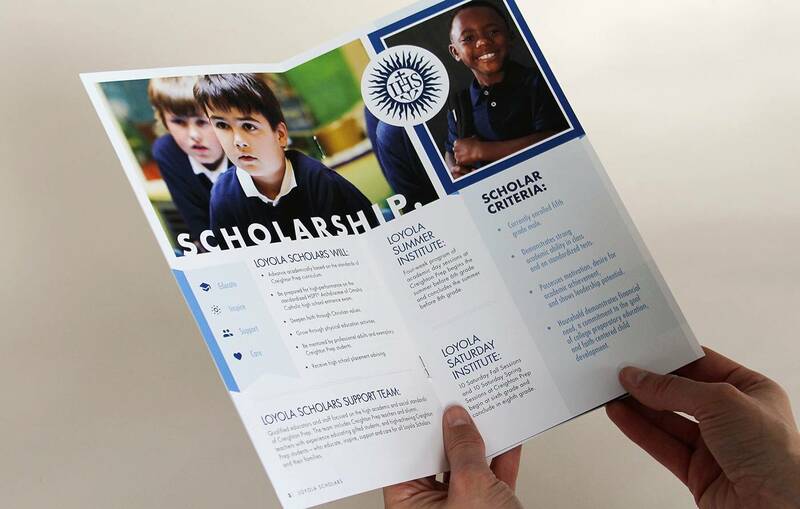 Instead, Iridian got creative with a brochure that features a unique fold that allowed for the full brochure to be presented in both Spanish and English depending upon which direction it is handed to you.